Have you ever planned a party on your own? If you have, then you know it can be a lot of work! I found this out recently, as I’ve spent the last few weeks planning my own birthday party, which I’ll be celebrating this weekend. Some parts of the planning process were easy for me, like figuring out who I was going to invite, what theme I was going to go with (Halloween! 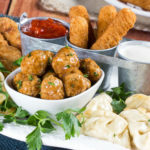 ), and what time of day I wanted to throw the party, but when it came to the food … well, it’s hard for a foodie like me to decide what to serve her guests. Luckily, MrFood.com came to the rescue! 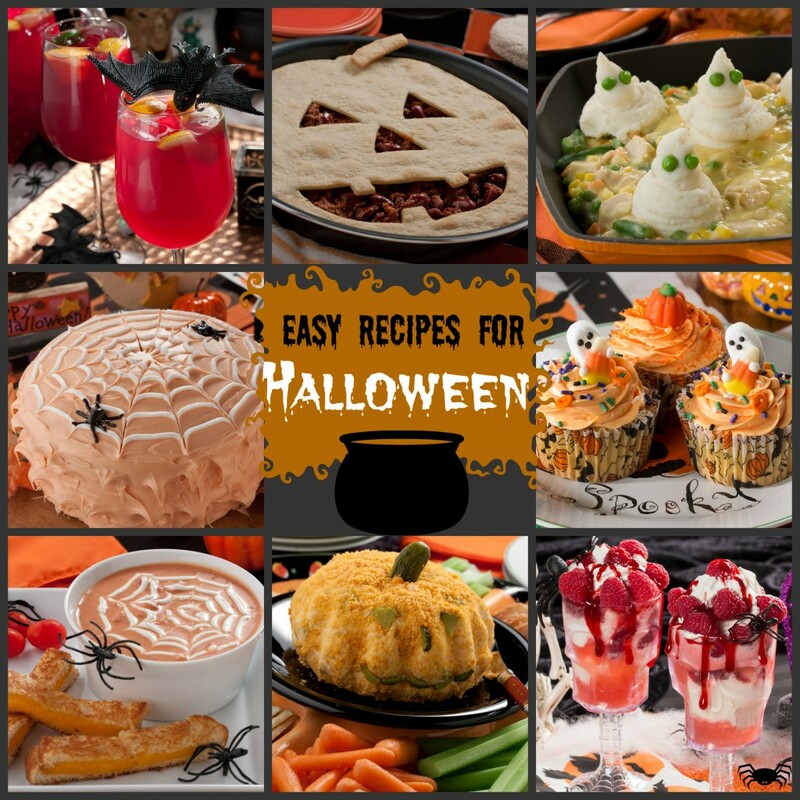 I was able to find plenty of super easy Halloween food ideas in collection pages like, Fun Fall Recipes: 141 Easy Recipes for Halloween and 30 Perfect Pumpkin Recipes (I’m a pumpkin lover!). 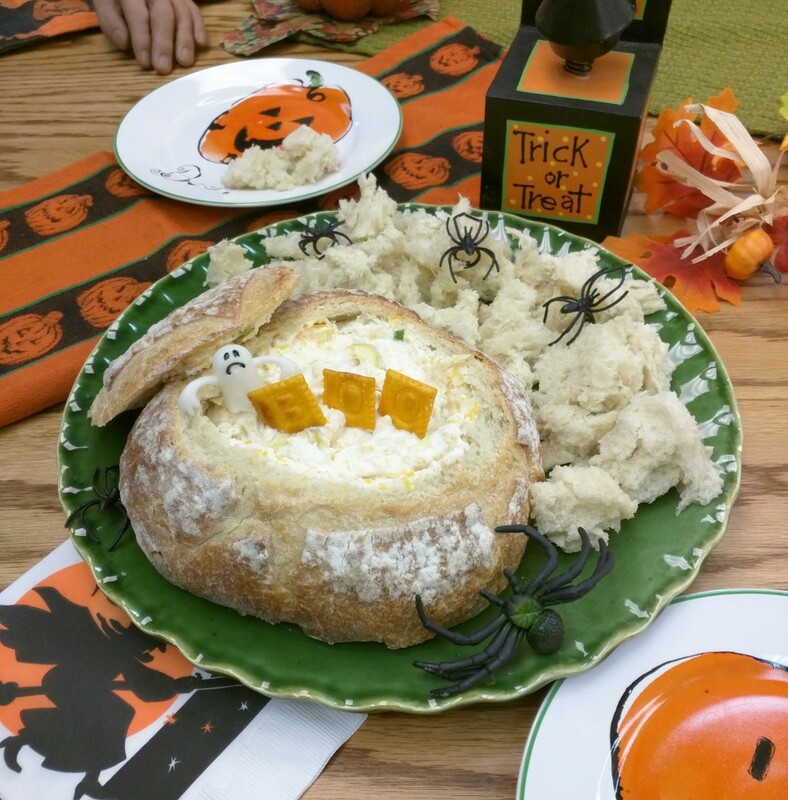 Now, I’m making quite a few recipes from our site for my party, including Spiderweb Spread and Yummy Mummy Dogs, but today I wanted to show you how to make an easy and cheesy bread bowl dip, inspired by the dairy case, that you can make for any party theme! 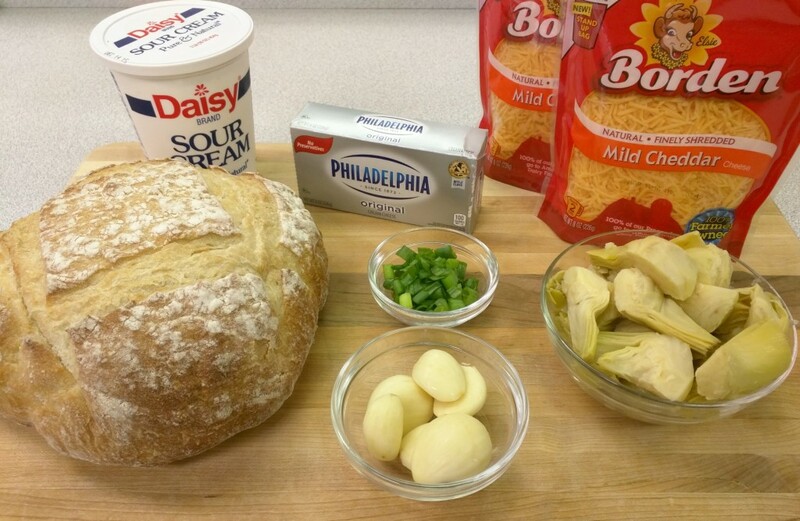 Step One: Gather your ingredients: 2 (1-pound) loaves of unsliced bread, cream cheese, sour cream, scallions, garlic cloves, shredded Cheddar cheese, and canned artichoke hearts. 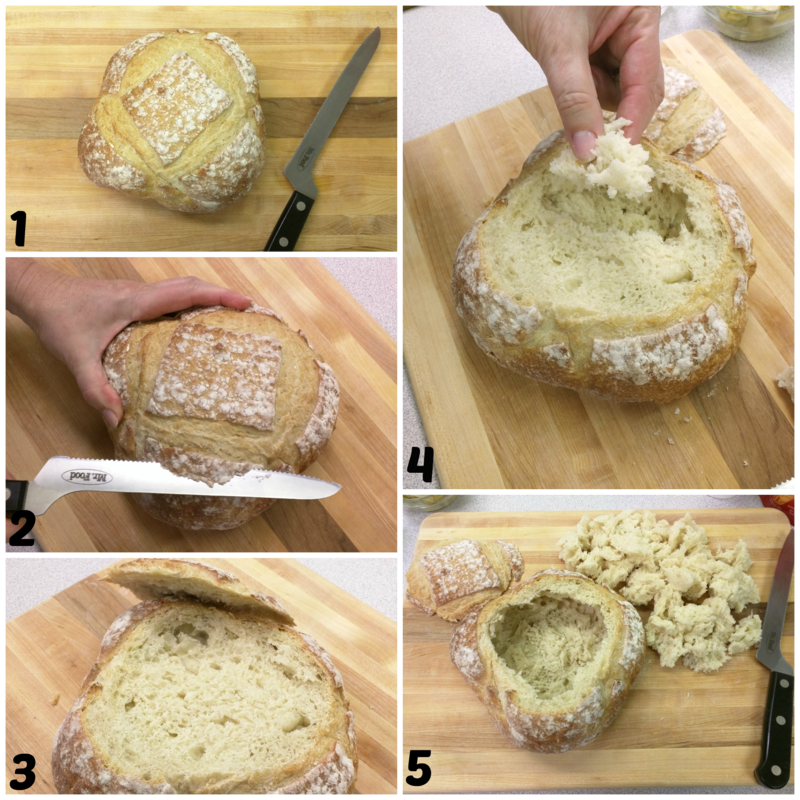 Step Two: Preheat the oven and cut off the top of the bread (don’t throw it away – just put it to the side! ), then scoop out the soft inside parts of the breads and put this to the side also. Step Two: Combine the cream cheese, sour cream, scallions, garlic, and Cheddar cheese. Once these are mixed well, you’ll fold in the artichoke hearts. Step Three: Fill your hollowed-out bread with the mixture. 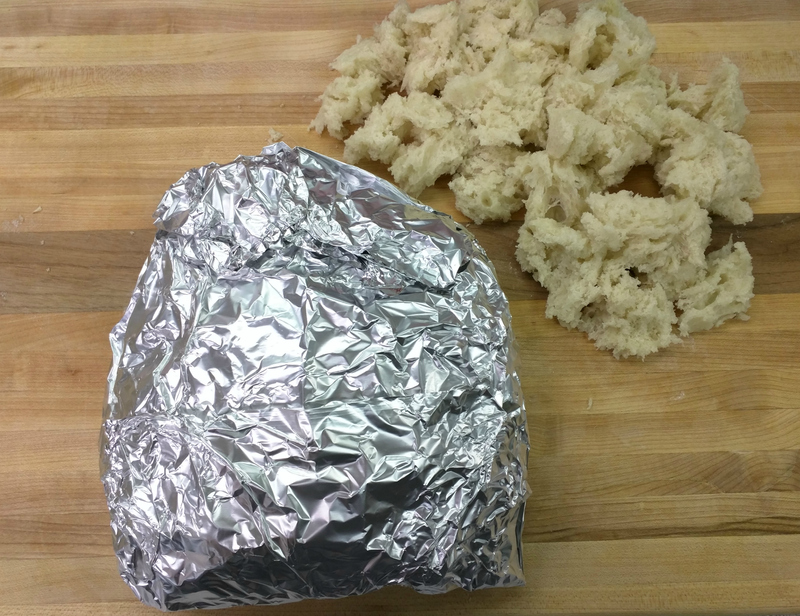 Step Four: Place the top back on the bread and wrap it up in aluminum foil. Then, put it into your preheated oven and bake for 1 hour, or until it’s all hot and delicious. 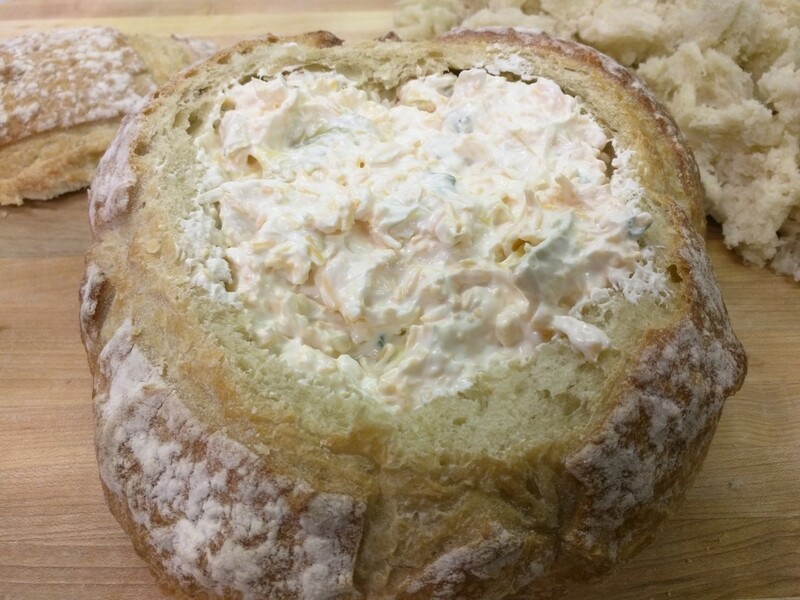 It’s pretty hard to resist eating the inside of freshly baked bread, but it’s so worth it to wait and eat it with the dip! 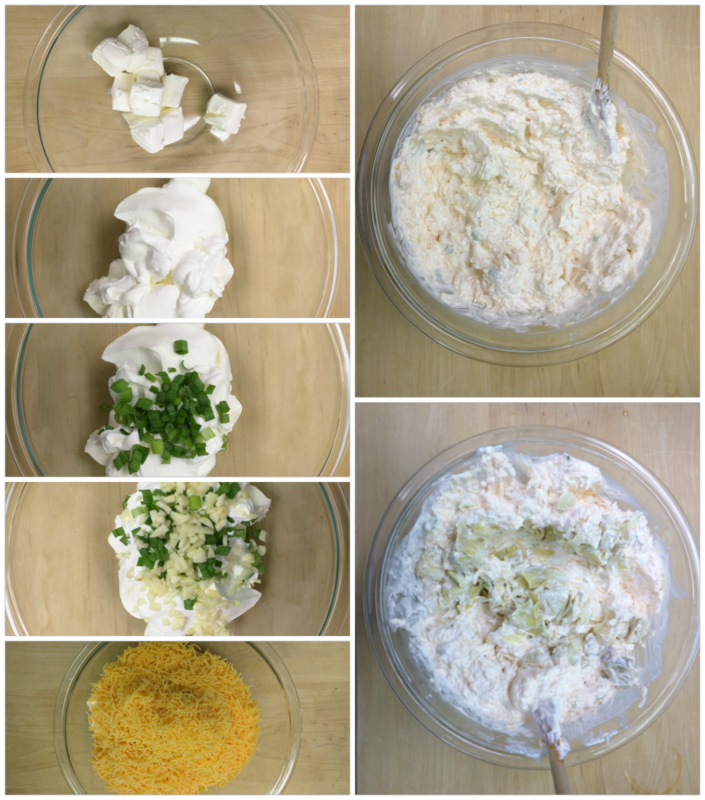 Believe me, this dip will be a hit at any party you serve it at. Plus, it makes two full-size dips, which is enough for everyone (or at least 20 guests). Click here for complete recipe, including ingredient amounts. By the way, you can stuff a bread bowl with practically any dip of your choosing. For some yummy ideas, check out our collection of 35 Unbelievably Good Dip Recipes. What’s your favorite kind of party dip? 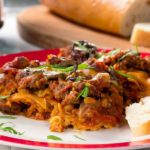 Thanks to Easy Home Meals for letting me share all of these easy and tasty recipes with you. Click the link to sign up for their newsletter, get even more great recipes, find out about their sweepstakes, and much more! This conversation is sponsored by National Frozen & Refrigerated Foods Association. The opinions and text are all mine.